Well with school and work resuming in over 2 weeks time in our household (humm), I have recently been on the search for new lunchbox options. For some odd reason, lunchboxes really excite me! There are so many ingenious ways now in which to package the food we transport from our homes. I set myself a mission - to find something that would be appealing to the eye (because lets face it, food tastes a whole lot nicer in good packaging!) and the second thing - to avoid plastic (food and plastic are not the best of friends anyway). And that is where my love story with 'Abeego' began! All ingredients of these food wraps are chosen for their food preserving qualities. They wash in cool soapy water and pack flat when not in use. And the best bit is, they smell of beeswax! Yum! made from hemp, cotton, beeswax, tree resin & jojoba oil, this sandwich wrap is inspired by natural materials which are ideal for keeping food fresh longer. Can't figure out how they work? ... see the short u-tube clip below. Want to know more? 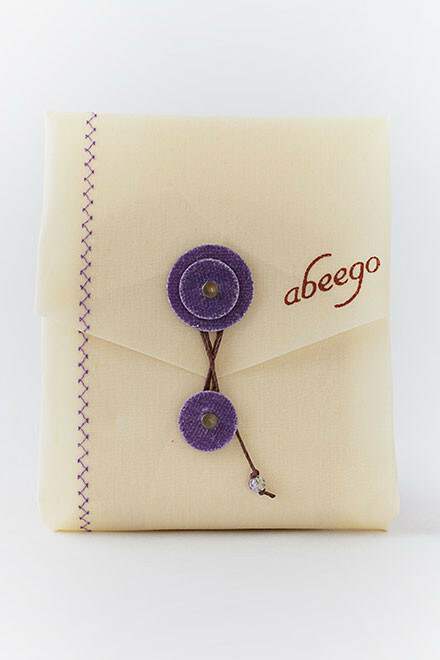 Read the Abeego story, meet the creators and be inspired.